The electoral college should be abolished because it gives more power to certain states & it ignores the people. Its unfair that a candidate can win the popular vote but lose the electoral college. 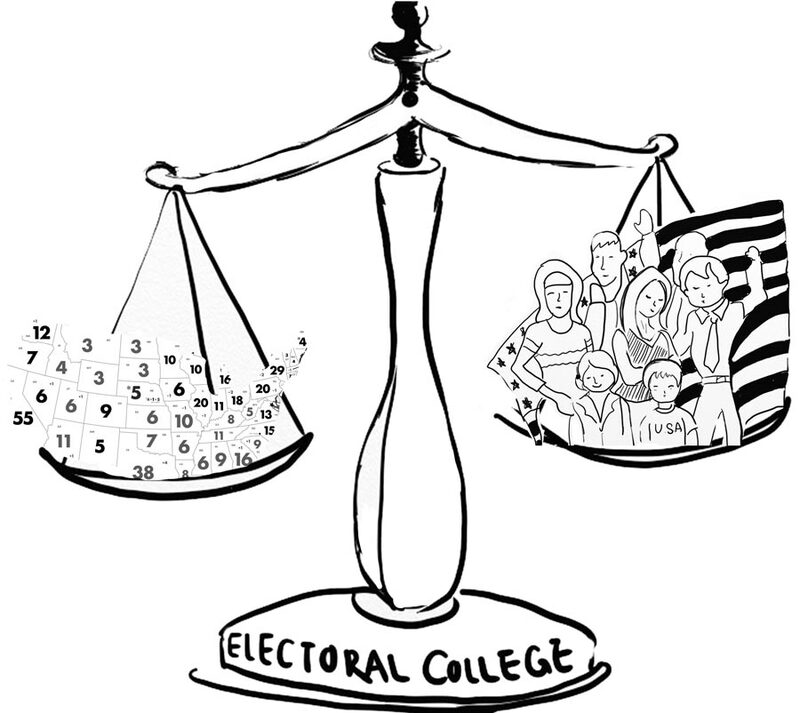 This video is explaining that the electoral college is an outdated system. Things are way different these days than back then. It should be abolished because its no longer relevant and alot of things have changed. This video is explaining one reason why the electoral college should be abolished. It almost seems like the smaller states don't matter because candidates don't visit them when they are campaigning. The smaller states get less electoral college votes because of their population. I think that is not how it should be. Even if a candidate wins the popular vote, they can still lose the election. This article is showing the cons of the electoral college as well as the pros. One con is that the reasons the electoral college was made back then are no longer relevant. Another con is that it gives more power to certain states. The last reason is that the electoral college ignores the will of the people. I agree with all of those. This article explains how many times a candidate won the popular vote but lost the electoral college. It has happened a few times in the past. I think that's very unfair. The electoral college should be abolished because it gives more power to certain states.